What type of data do you want to download: open and/or controlled access data? 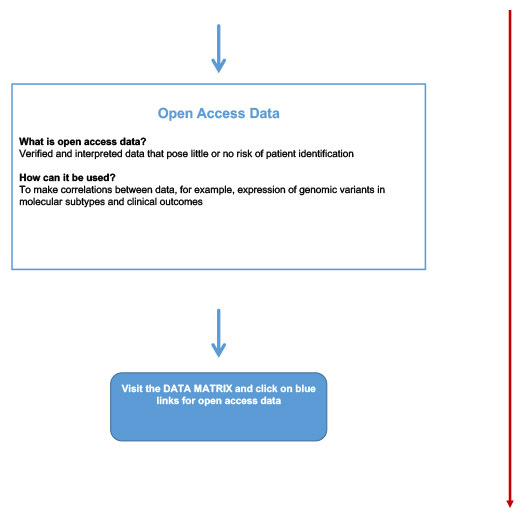 OPEN ACCESS – verified and interpreted data that cannot be used to identify individual patients. These types of data can be used, for example, to make correlations between expression of genomic variants in molecular subtypes and clinical outcomes. Most researchers may find open access data sufficient in fulfilling their research needs. No approval is required to download. 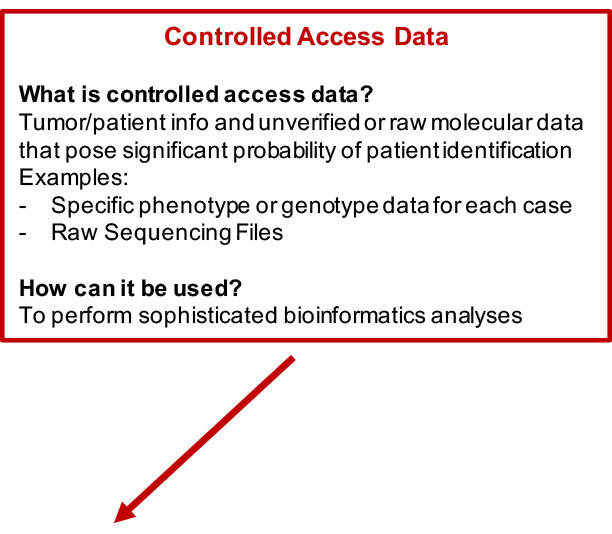 CONTROLLED ACCESS – patient/tumor information and unverified or raw molecular data (e.g. array-based and sequencing files) that pose a small but significant risk of patient re-identification. These types of data can be used to perform sophisticated bioinformatics analyses. Data Use Certification, or approval, is required to download. 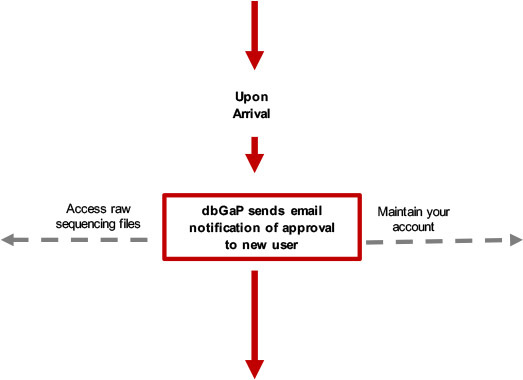 Users must apply for Data Use Certification through the database of Genotypes and Phenotypes (dbGaP) and must agree to the data use limitations. 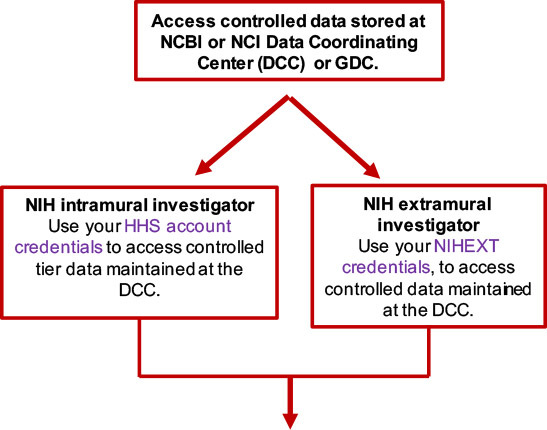 What are the guidelines for using data for publications or other research purposes? Visit the CGCI Publication Guidelines page to learn the details. Visit the CTD2 Publication Guidelines page to learn the details. Visit the TARGET Publication Guidelines page to learn the details. How do I access open and/or controlled data? View and/or download a 508 compliant version or printable version of this flowchart. If you do not already have a PDF viewer, you can download Adobe Acrobat for free. Learn how to renew or close out approved access. How do I maintain user accounts for continued data access? Refer to the following table to learn how often your accounts expire and what to do if you encounter issues with your accounts. * Use eRA commons password to access controlled data. Password will need to be reset after 120 days. Coming in the near future; please continue to check back. How do I renew or close out projects in dbGaP? The following videos provide directions for how to complete annual reporting in dbGaP.